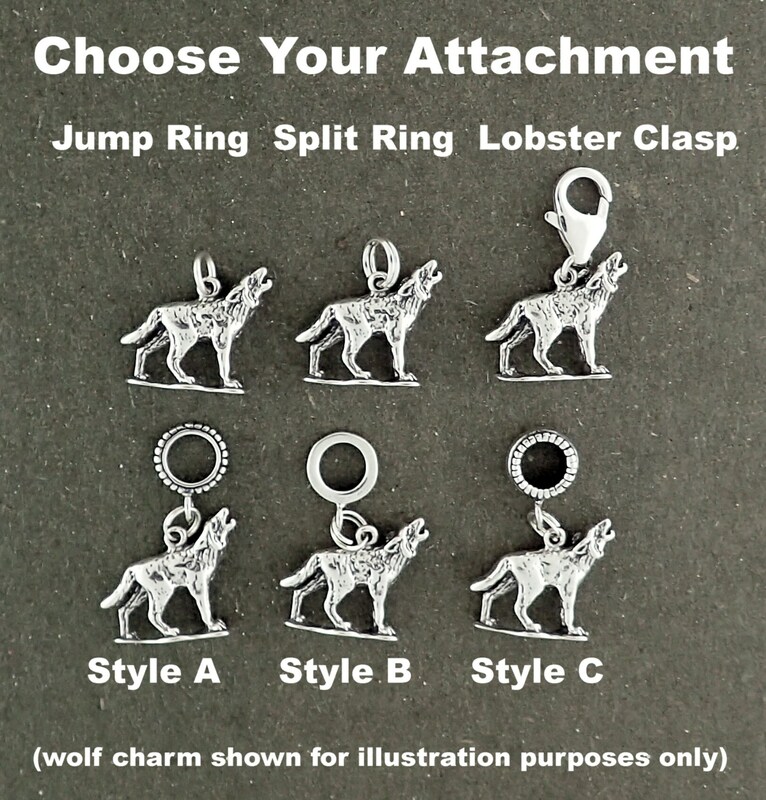 Approx Size 1" x 1/2"
Jump Ring: A circular ring which has an opening to attach thru a link on a bracelet or chain. For extra security we recommend having it soldered closed or it may open enough that you will lose the charm. Jump Rings are not always perfectly round. Sizes vary between approx 5mm-7mm. Split Ring: A secure way to keep charms connected without having to solder the ring closed. 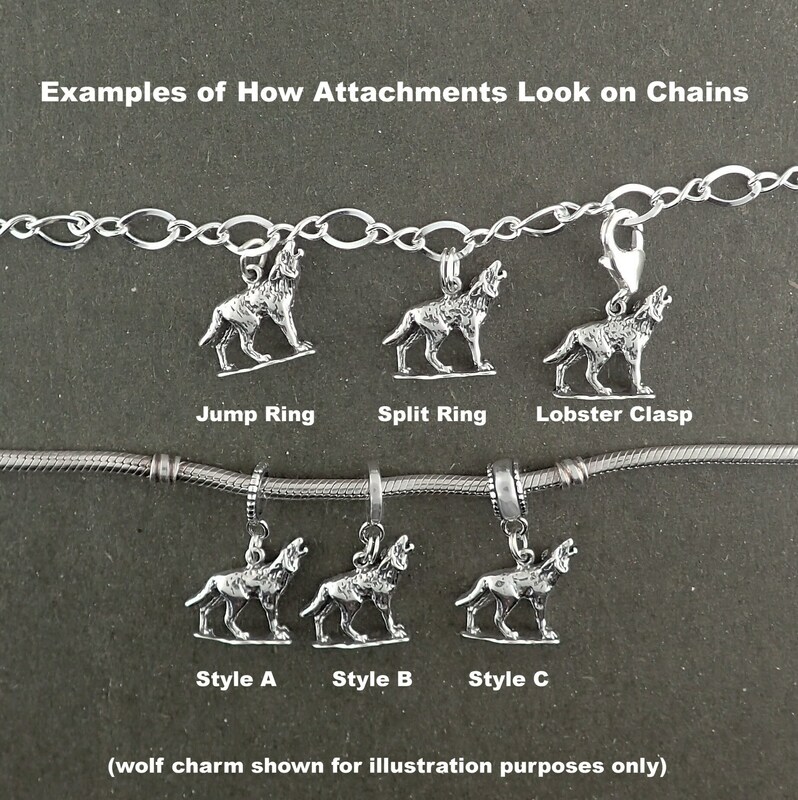 You attach the charm just like you would put a key on a keychain ring. Use to slide on a chain or attach to a link. Size is approx 6mm. Bail Style A: Narrow with Antiqued Finish. Use to slide on a chain or bracelet. 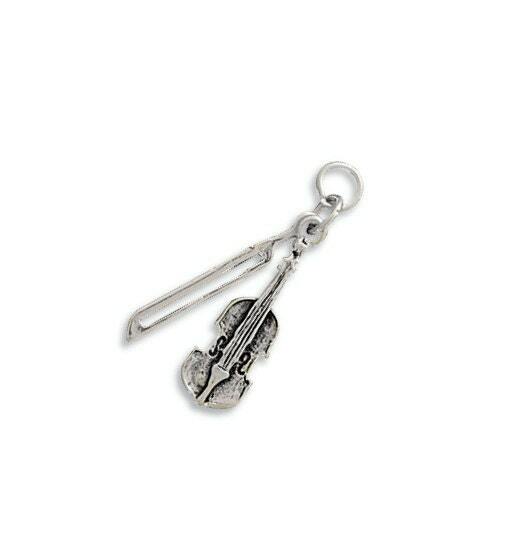 Size is approx 1.5mm wide, 9mm diameter, hole size 5.8mm. The Charm Holder Bead Fits on European style bracelets similar to Pandora. Bail Style B: Plain Polished Finish. Use to slide on a chain or bracelet. Size is approx 1.5mm wide, 9mm diameter, hole size 5.8mm. 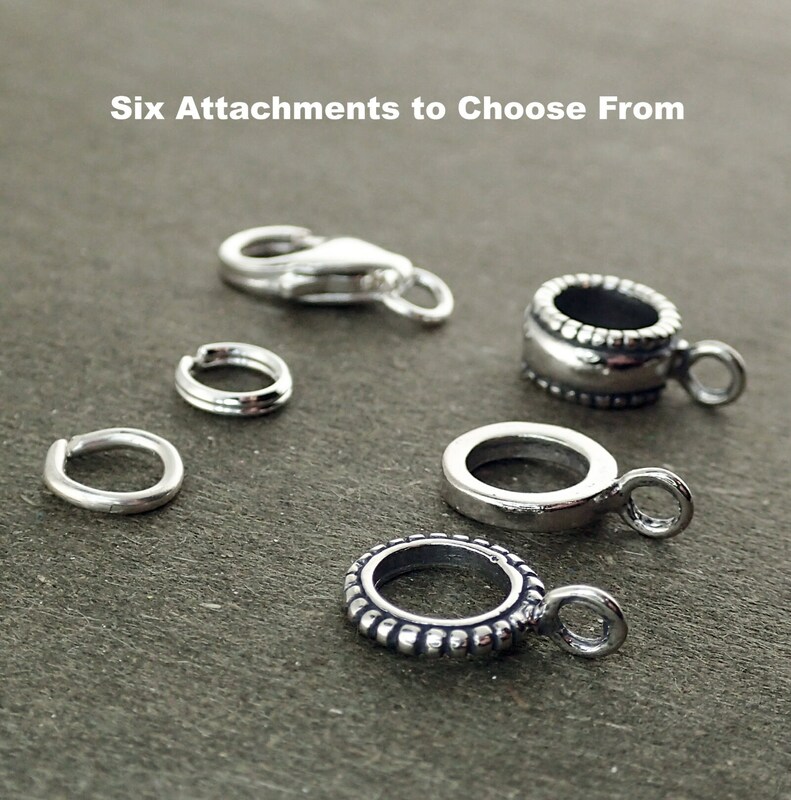 The Charm Holder Bead Fits on European style bracelets similar to Pandora. Bail Style C: Decorative Edge, Antiqued Finish. Use to slide on a chain or bracelet. Size is approx 5mm wide, 9mm diameter, hole size 5.8mm. The Charm Holder Bead Fits on European style bracelets similar to Pandora. 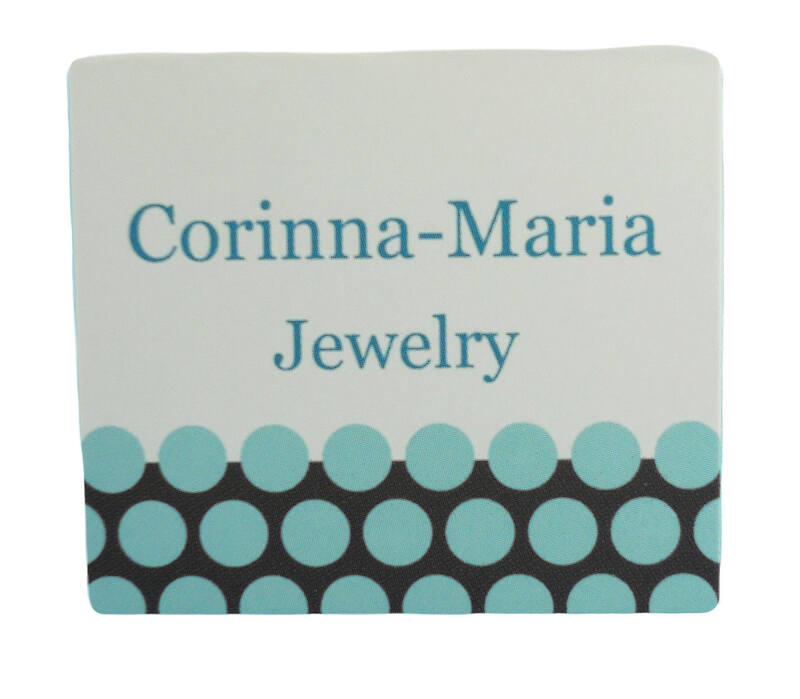 Due to the handcrafted nature of most of our items, all measurements and weights are approximate, clasps and bails may sometimes vary from the picture. Antiquing or oxidation coverage varies on each piece. Very happy, it was better than expected. 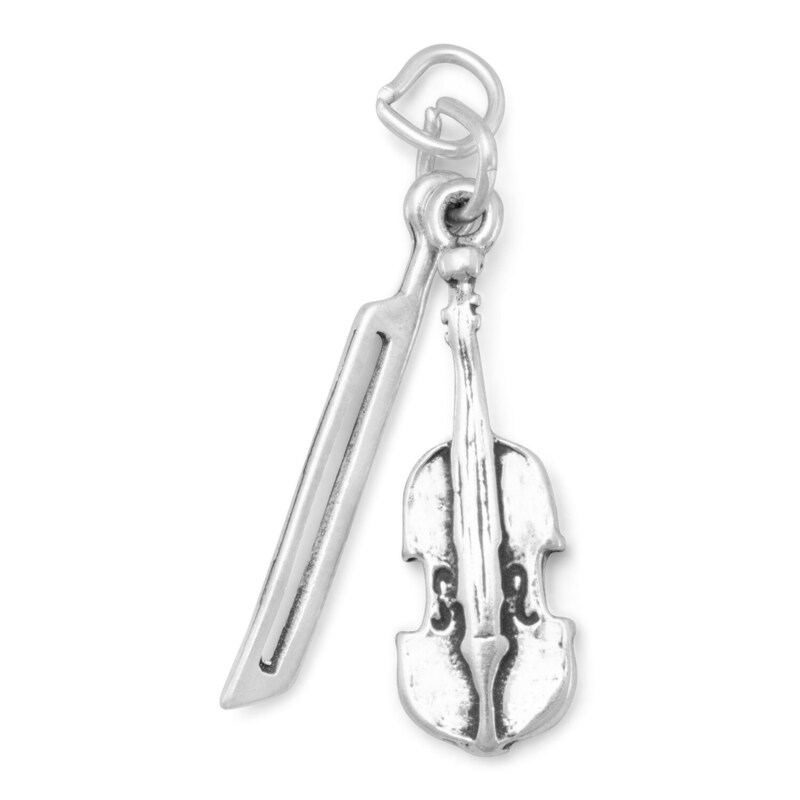 I got this charm to remind me of my husband who is aspiring to learn the violin this year. 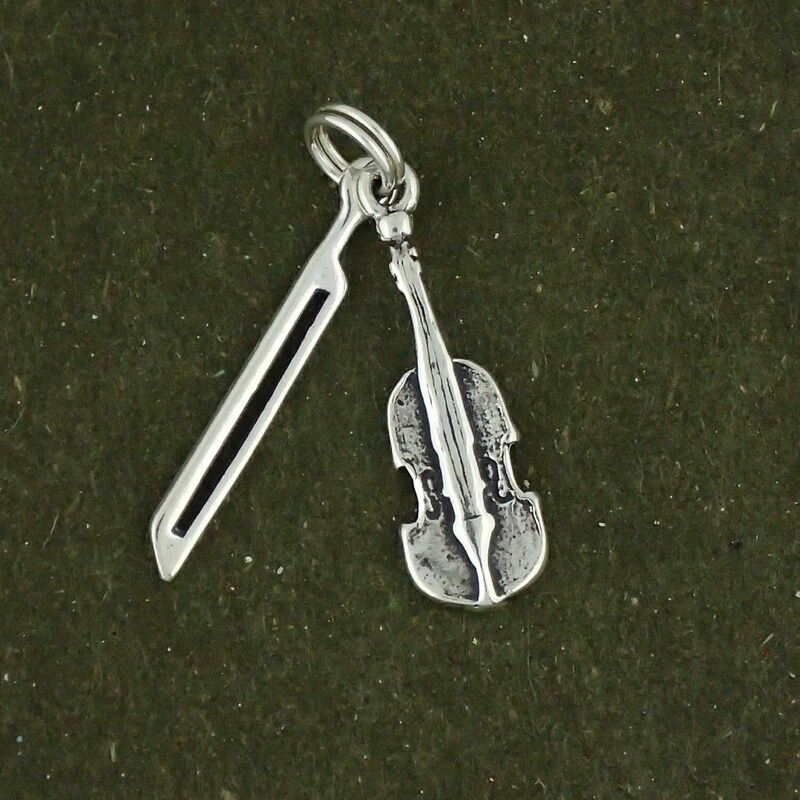 I will use this charm with my knitting projects. Just what I was looking for, thanks! Absolutely fabulous! Lots of detail.